Once a month, mom and I went for “our order,” my elbows barely reaching above the booth’s table in the early years. Each visit was a new adventure, as the walls featured a mixture of sometimes snarky, sometimes clever, and sometimes corny jokes framed like art above the booths, and the mint green paper placemats provided an education in Yiddish vocabulary. The order: pickles and coleslaw; generic French fries that we showered with table salt; lean Romanian pastrami on rye with melted Swiss, spiced up with extra squeezes of the table’s zingy deli mustard; and a not-to-be-forgotten shiny glass bottle of just-uncapped root beer. It fueled my now ridiculous and unhealthy pastrami (and reuben) sandwich obsession. It’s amazing how filling that sandwich, which we always split, could be when piled to the sky with rich pink slices of pastrami. We went for the sandwich, but this dessert menu sat on the table among the salt and pepper shakers, the bright red and orange condiment squeeze bottles, and the shiny silver napkin dispenser serving as a teasing reminder of what was in that alluring case in front. These were American and Jewish deli, well New York Jewish deli, classics. Joan and Ed’s is where I had my first really, really dense piece of cheesecake (I’m still a creamier cheesecake person but I understand the appeal of NY-style) and my first cakey black and white cookie that was the size of my big head (mom used to dream of a black and white with a chocolate base instead of a yellow one). It’s where I learned that Boston Cream Pie isn’t a pie at all, and that grapenut pudding may look like gruel but can be delicious. 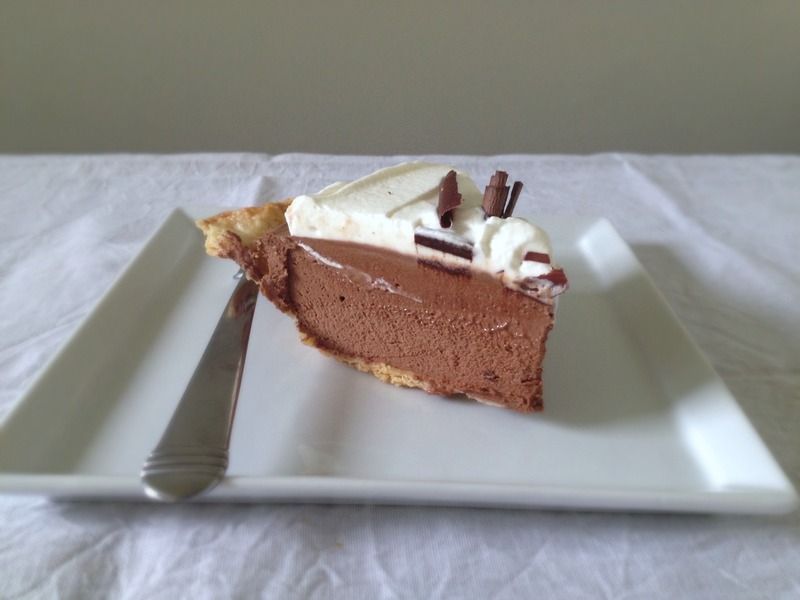 When I fell for dessert, I most often fell into the smooth embrace of the French silk pie. “What is it?” I remember asking the first time we ordered it. 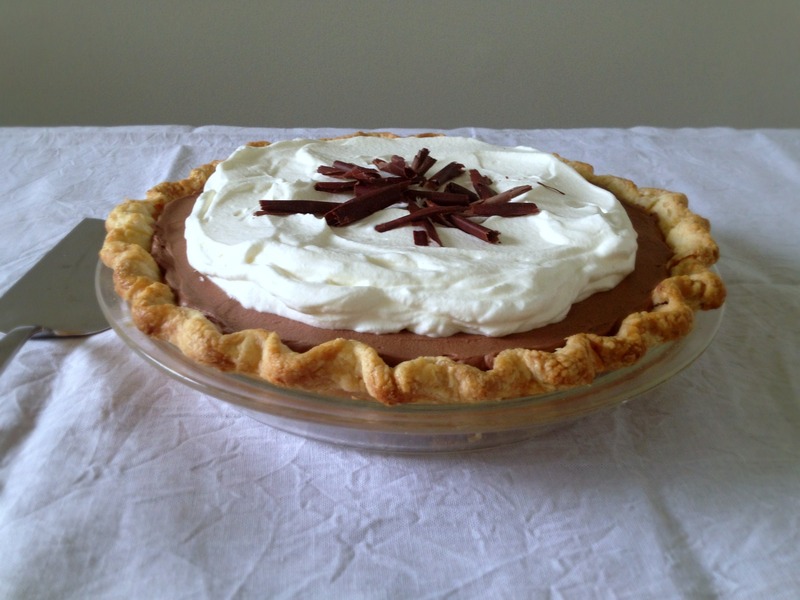 It’s not a cream pie, but it comes in a cream pie package (read: The crust is fully baked; the filling is added; and it’s topped with whipped cream). 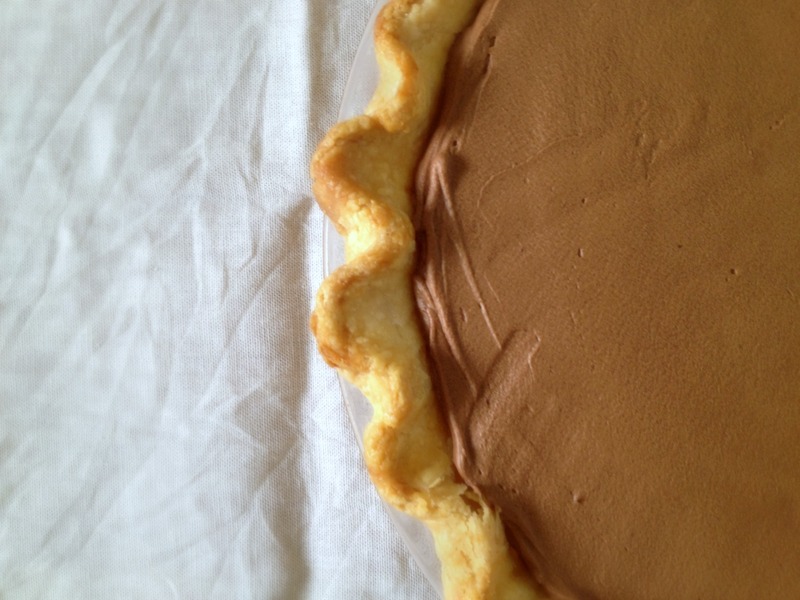 It’s got the best qualities of a refined dense chocolate tart, but it’s light and fleeting once it hits the tongue, as the whole eggs are whipped over heat until light (almost like in a sabayon) instead of simply stirred into the chocolate, and the heavy cream doesn’t create a ganache but instead gets whipped and folded in. It feels like the most luxurious of bed sheets that I could never afford. I know custard and cream pie haters and I understand their aversion, but even they would fall for this despite its misleading cream-topped guise. And it always comes covered in whisper-thin rolls of chocolate curls. Joan and Ed’s closed a couple of years ago. The couple probably wanted to live their later years in Boca or something. They are missed. When I heard the announcement, I tried but failed to get there for one last sandwich and slice of pie after having not been for a few years. A well-known Boston-area deli opened a metrowest outpost in its place. True Joan and Ed’s fans like myself will probably never visit. And that pie will never be tasted again. But I know a recipe from Cook’s Country (subscription required) that makes an even better one. You may have made it before. 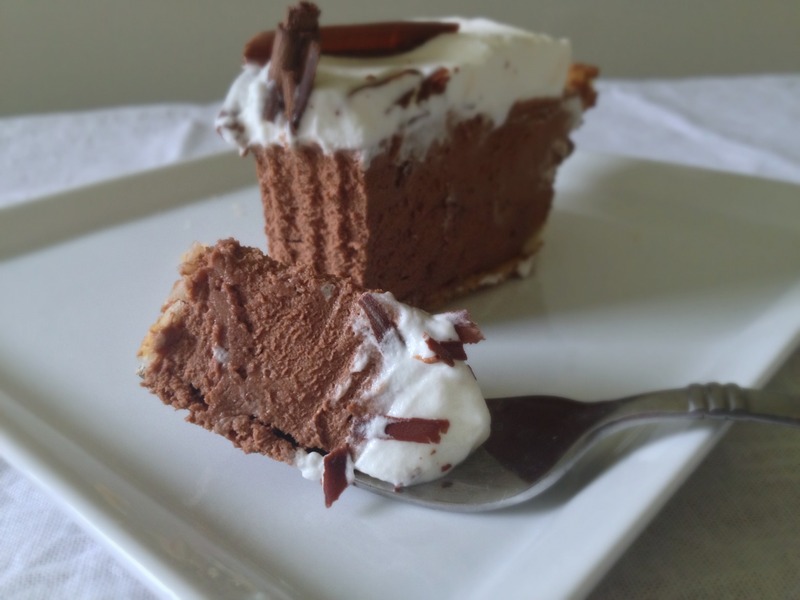 I use a different mixing method and cover a good portion of the pie with whipped cream rather than top each slice with just a suggestive dollop (as the recipe calls for) to cut through the chocolate richness and to model mine after Joan and Ed’s. 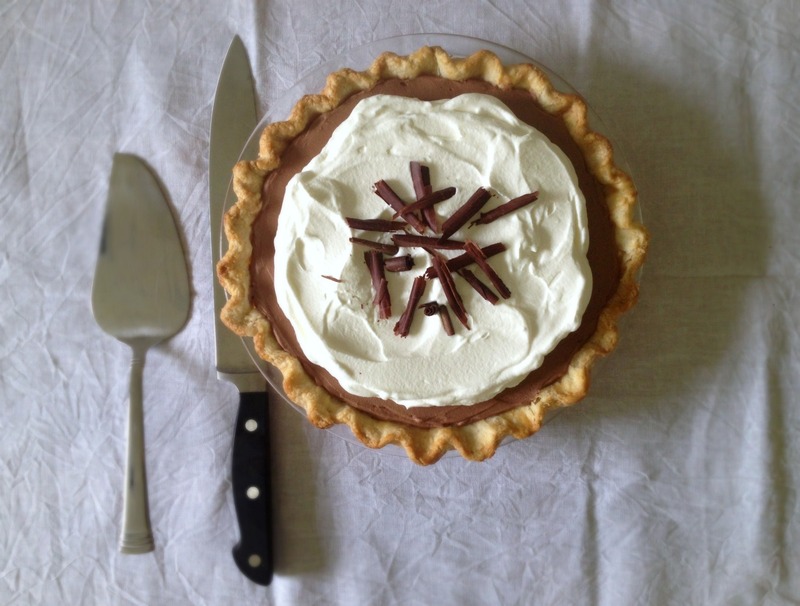 But this recipe yields a perfect pie and a slice of childhood with grown-up appeal no matter how you make it. 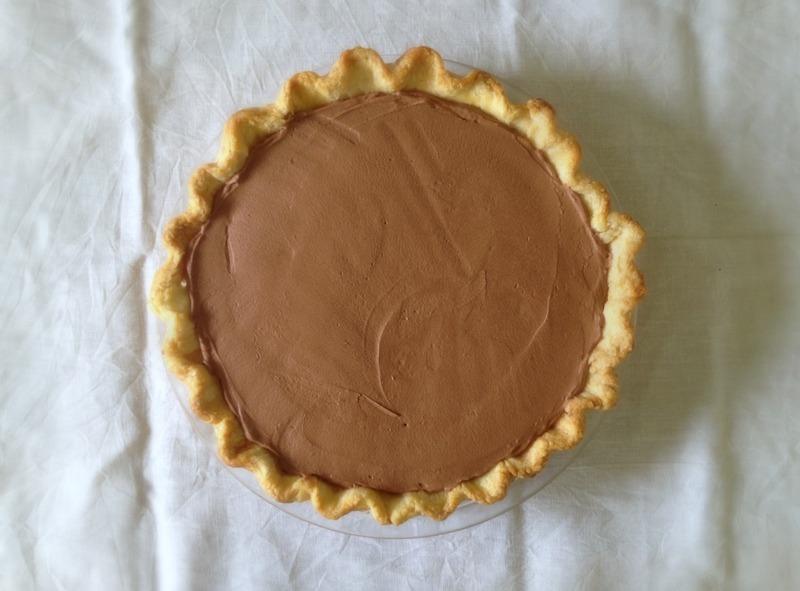 It’s a spring-y pie that is light enough to take you through summer but rich enough to stay around. I first tasted French silk at Joan and Ed’s, but this version is complex enough in its texture and chocolate flavor to hold it’s own as the last course of a dressed-up dinner. And with that I give you my annual “goodbye” to chocolate post. At the end of every meal at Joan and Ed’s, we’d buy one of the shiny, foil-wrapped chocolates sold at the counter. It’s nice to say goodbye to chocolate with chocolate. It’s time to embrace all that is light. Milk and dark chocolate, we’ll see you again when the weather turns. love the comparison to a set of luxurious sheets :) this looks fabulous! !